In 2012 the Department for Communities and Local Government was a bit thick. In their drive to simplify the planning system they sought to revolutionize the available government practice guidance by taking some 7000 pages over 25 Planning Policy Guidance (PPG’s) and Planning Policy Statements (PPS’s) to just 65 pages that would form the National Planning Policy Framework (NPPF). This was (mostly) done by using the DELETE button. In rural areas the effect to Government Rural Planning Policy was profound. Planning Policy Statement 7: Sustainable Development in Rural Areas was published in August 2004 and for 8 years was the benchmark planning policy document for rural areas. Its 27 pages included provision for frontage infil in rural areas, tests for tourism and agriculture based businesses and most importantly the key rules for new dwellings in the countryside. located where it will enhance or maintain the vitality of rural communities. – be sensitive to the defining characteristics of the local area. All planning decisions are plan lead decisions, they must have regard to the Local Plan or Core Strategy and the National Planning Policy Framework so from Para 55 we can gauge some general rules governing rural planning decisions. No, now what is the next question? Within the open countryside outside towns and villages there is an overriding presumption against development unless the special circumstances in para 55 dictate otherwise or the site is allocated in the Local Plan. This has always been the case, ever since the first true Town and Country Planning Act in 1947. Developments in the open countryside will seldom meet the tests of Sustainable Development outlined in paras 7 and 14 of the NPPF and as such one must always be looking to an allocation of land or one of the key special circumstances in Para 55. It is very common for new property speculators to receive a refusal to the principle of the development of houses in the Countryside because they have not met one of the key tests or (moreover) they have attempted to site a large housing estate in the middle of nowhere. cannot demonstrate a five-year supply of deliverable housing sites. Here the Planning Inspectors and the High Court have been content to conclude that where a Council cannot demonstrate a 5 year supply then any land that is not otherwise protected (National Park, Area of Outstanding Natural Beauty, Site of Special Scientific Interest etc) could be fair game and assessed only on the principles of Sustainable Development. There has, however, been a gradual finessing of what Para 49 means in practice and in reality farmers fields in the North York Moors are still far from Sustainable. Developers can check up on the status of the Council’s 5 year supply by downloading a copy of the Annual Monitoring Report (AMR). This should be produced yearly by council and will say succinctly how far ahead or behind they are. Larger developers do not leave things to chance. They have very large and expensive planning teams working with planning authorities to allocate sites in the next Local Plan. These are sites that are already secured in some way and are part of their land bank. Getting allocated changes the policy rules from a presumption against to a presumption for the development because the Council themselves have concluded that they need the development in that location and there is a Policy Allocation to support it. Getting allocated establishes the principle of development and also the level of development that will be acceptable on the site. Smaller Developers can engage with the same process using the Strategic Housing Land Allocation Assessment (SHLAA) or encouraging a Parish to prepare a Neighbourhood Plan. The SHLAA is one of the first stages of plan preparation and normally follows a ‘call for sites’ where landowners are encouraged to submit their site freely for assessment. Getting your site in the SHLAA (normally by filling out a simple form) starts the 5 year process of getting a site allocated within a Local Plan. The Neighbourhood Planning Process, brought forward by the Localism Act, enables Parish’s, Villages, Towns and Neighbourhoods to engage with the Plan Making Process by preparing their own planning policy document. Again Smaller developers can engage with this by providing a housing site for consideration or even instigating the process. Again this is a five year wait but as said a Policy Allocation is worth it. Again this has always been the case. Rural workers homes receive a condition or ‘Agricultural Tie’ limiting who can occupy them. There has to be an established agricultural business, you can’t just make one up, and the building must be built at or near their place of work (not in the middle of nowhere). Buildings with an ‘Agricultural Tie’ can have this condition removed but only after a year of marketing at the market rate for an agricultural workers home. There are some agricultural businesses that do not need workers so beware of (inter alia) Alpaca and Lama farms as the Courts have gotten wise to this. Alpaca’s and Lama’s live in the high Andes Mountains of South America and rarely come in to contact with or need humans for anything! In the open countryside owning a listed building, finally, makes sence! 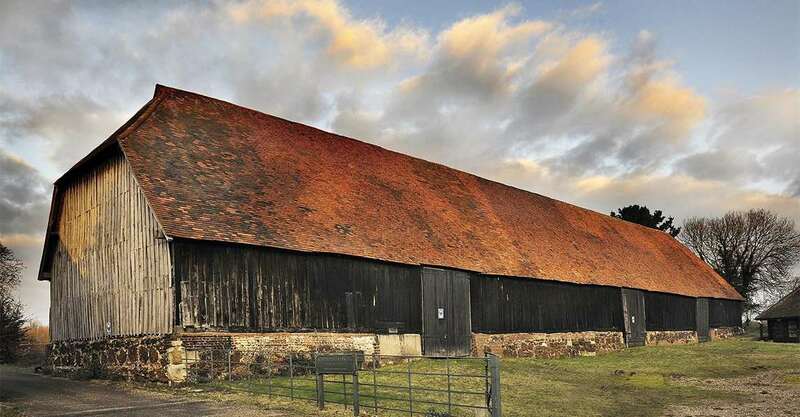 If your lucky to own a listed barn, hall or other structure and the Council’s Conservation Planner agrees with you that the best use for the building is to turn it into a house then you may use this very special circumstance as the duty to preserve a listed building outweighs the need to protect the countryside for its own sake. It is important to remember that Listed Buildings are protected for their Special Architectural or Historic Interest so before you run off and buy that amazing Grade 2 Listed Abandoned Asylum in the Dorset Countryside (no hints) remember that you should make friends with the Conservation Planner and Heritage England who will helpfully guide you on what bits you need to keep. This circumstance follows the principle of wrong development in the wrong location. If your able to secure such a site the Council has a duty to secure an improvement to it. This provision works best for old or redundant buildings that are an eyesore and where the use, if restarted, would be undesirable. Importantly there must be previous development on the land. In the main this focuses on builders yards, open storage, car wreckers and other more nasty businesses (yes all of the above do exist within the countryside) that are best suited to an industrial estate and not the verdant green of the Chilterns. Well designed housing on such sites is often considered preferable to the existing use and is supported using this special circumstance. These are very big targets to hit and developers are often limited to one or two houses. A bespoke estate of architectural brilliance is highly unlikely but I remain to be pleasantly proved wrong. As you can tell the above will still take time and as such one must not rush into a Countryside Project, leave at least 12 months free to get this sorted and expect at least 1 resubmission or 1 trip to see Mr Inspector before you get approval. Designed for the super busy and those who really need to be onsite Now! The Permitted Development Allowances for Commercial to Residential Conversions are a viable quick method of getting new dwellings in the Countryside. They may not be used for Listed Buildings, Areas of Outstanding Natural Beauty, Conservation Areas, a site of special scientific interest, a safety hazard area, a military explosives storage area, a scheduled monument, National Park or World Heritage Site. You will note that I have not mentioned Greenbelt in that list. Classes G, M, N, O, PA and Q of Part 3 of Schedule 2 of the General Permitted Development Order 2015 (As amended) are all available for the Developer to utilize with the correct Prior Notification Application and remain the most viable method of converting a building into a dwelling. However, these are not for the uneducated so it is always best to speak to a planning consultant BEFORE you buy to make sure you can rely on the valuable PD allowance. In conclusion development in the countryside is not impossible however the pitfalls exist where the wrong strategy is used on the wrong site or where the developer does not have the time to wait for policy to catch up with their aspirations. High quality development which seeks to resolve a problem, save a listed building or is just architecturally excellent will always be rewarded. However before entering any development speak to your friendly neighbourhood planning consultant (the RTPI has an amazing list) to get you on the right track from the start. 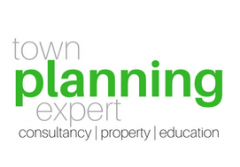 Jonathan McDermott is a Chartered Town Planner, Principal Town Planner for Town Planning Expert and educator with Whitebox Property Solutions on Property Developers Secrets and Property Planning Masterclass.